A tool kit for beginner corset makers containing commonly used tools which will make your corset making easier. sharp machine needles - for best results with your sewing machine. 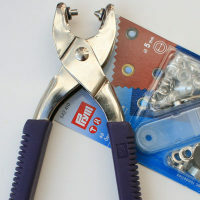 Vario pliers and eyelets - the easiest way to insert the eyelets for lacing. Kit represents 5% off total price of components purchased separately.